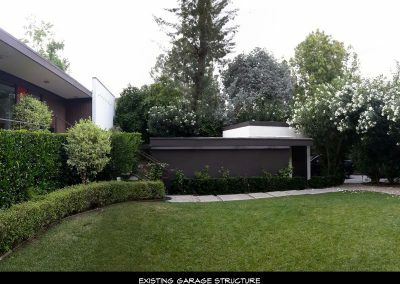 The house is located in the lower Arroyo Seco in Pasadena. 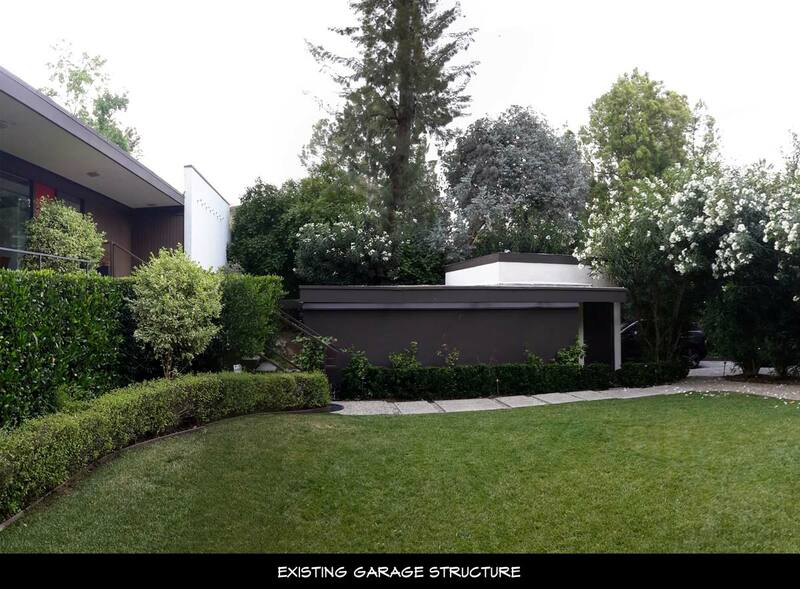 The existing house was a 1955 post and beam structure with a garage that had a 6’-6” high ceiling and a small 1960’s kitchen buried in the middle of the house. 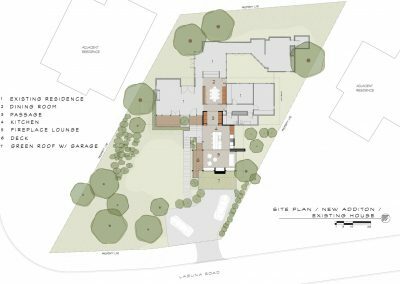 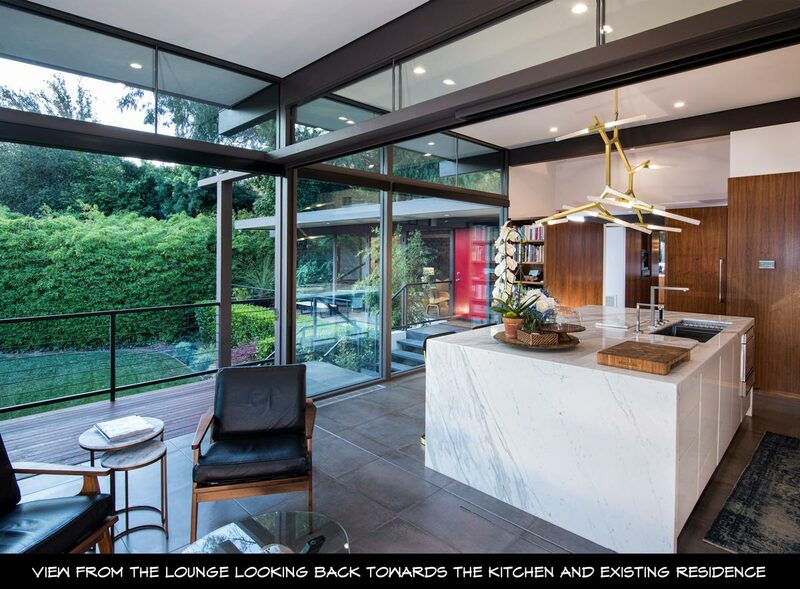 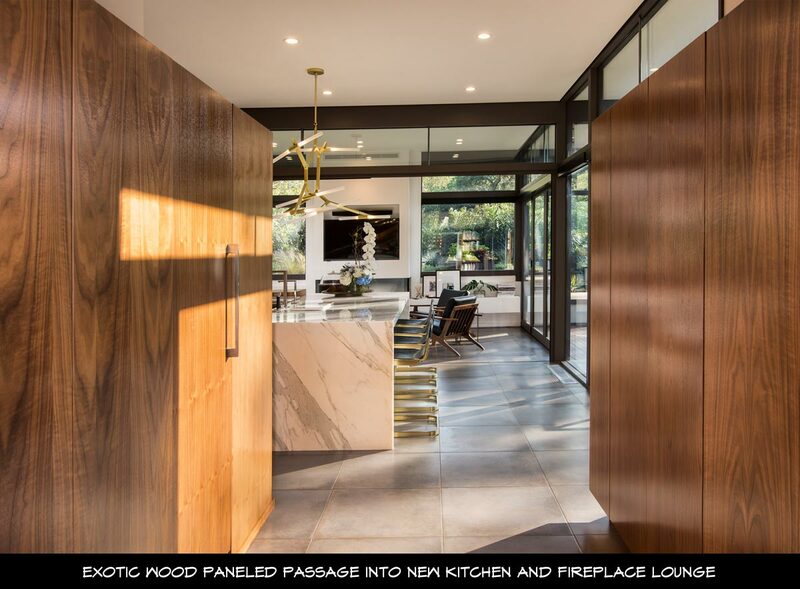 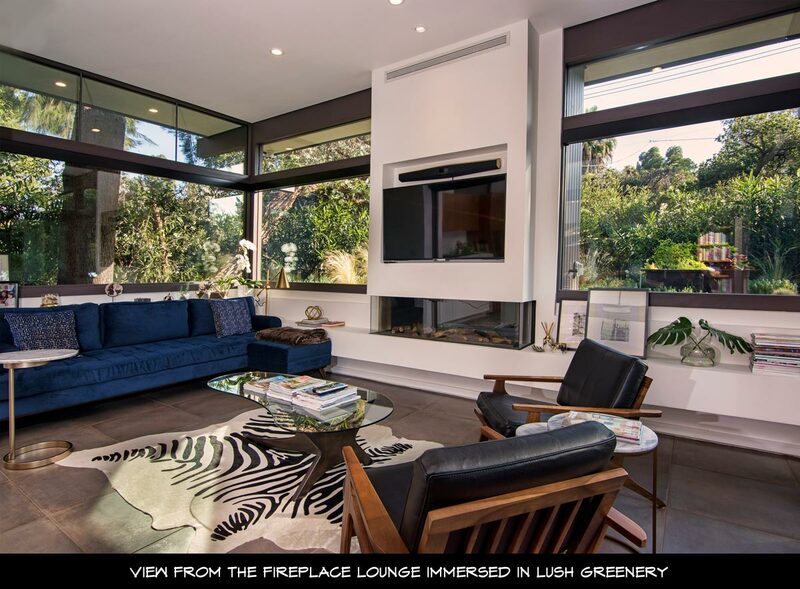 The client wanted to expand the house to create a new family gathering area including a new kitchen and lounge and enlarge the existing garage. 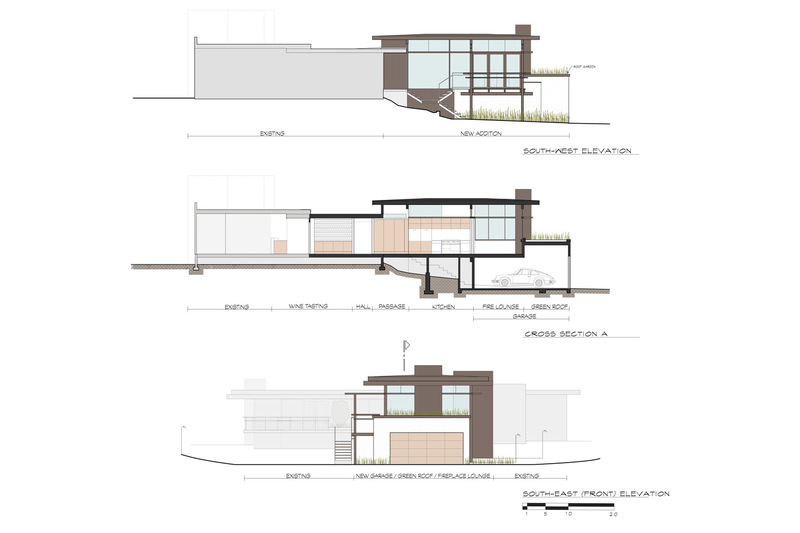 This office provided complete design and construction observation services. 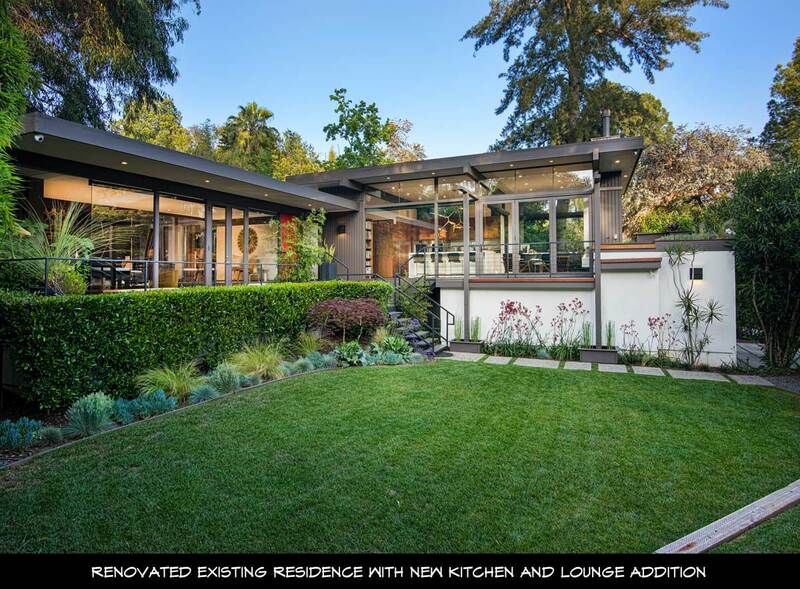 The new pavilion addition has 537 square feet of habitable space and the interior renovation is 300 square feet. 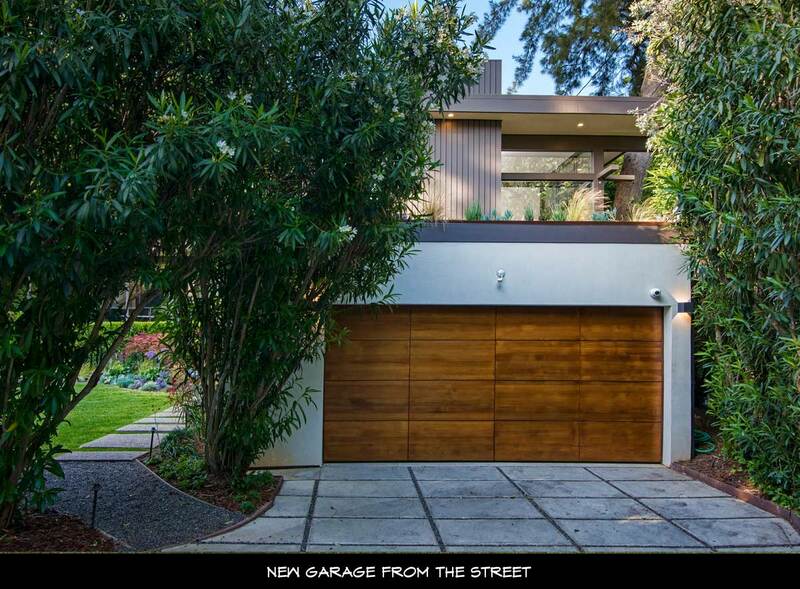 The garage renovation is 360 square feet. 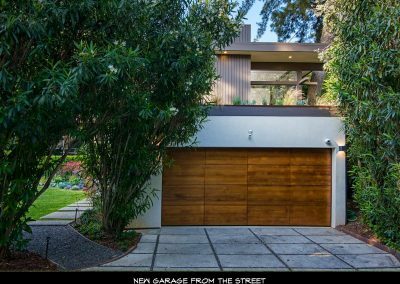 The total construction cost was ±$388,000. 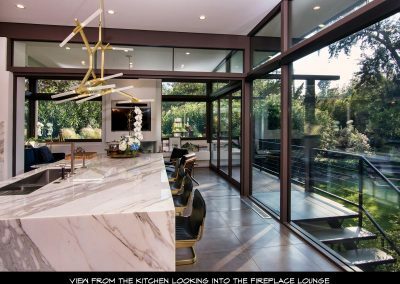 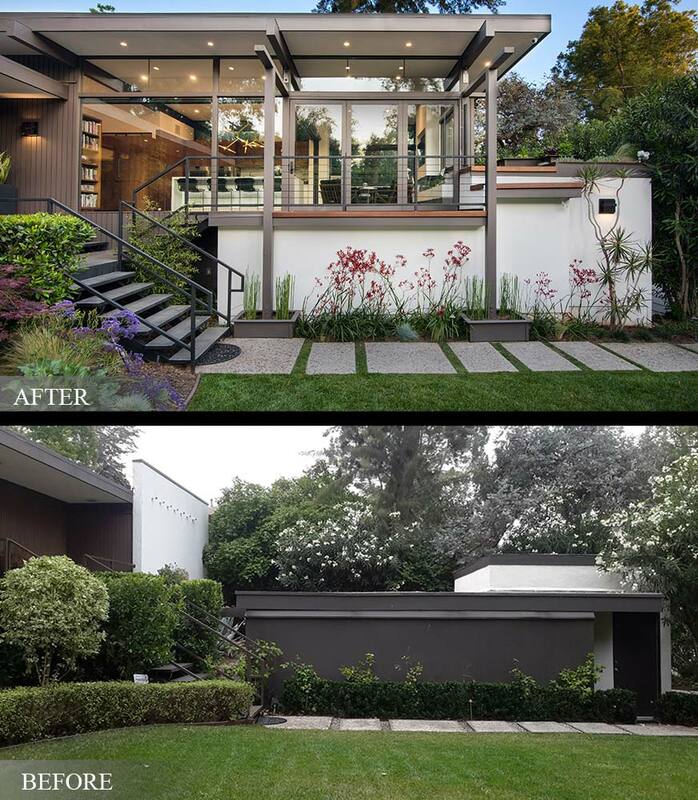 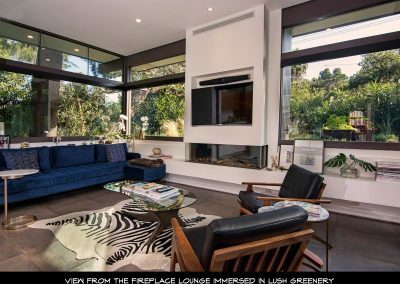 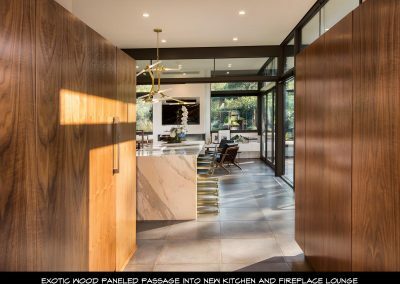 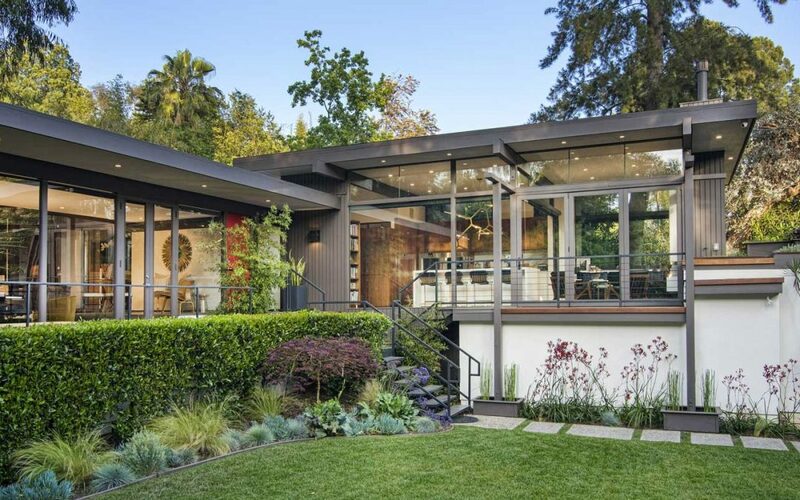 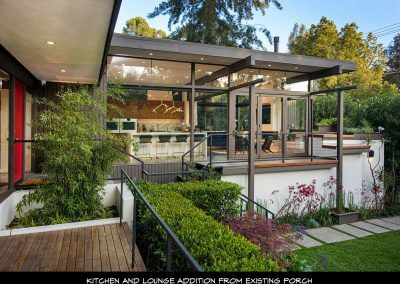 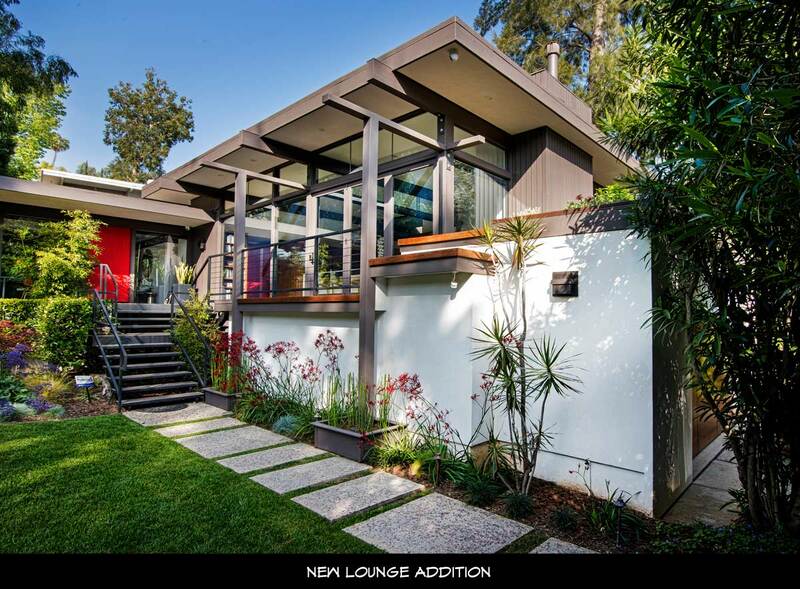 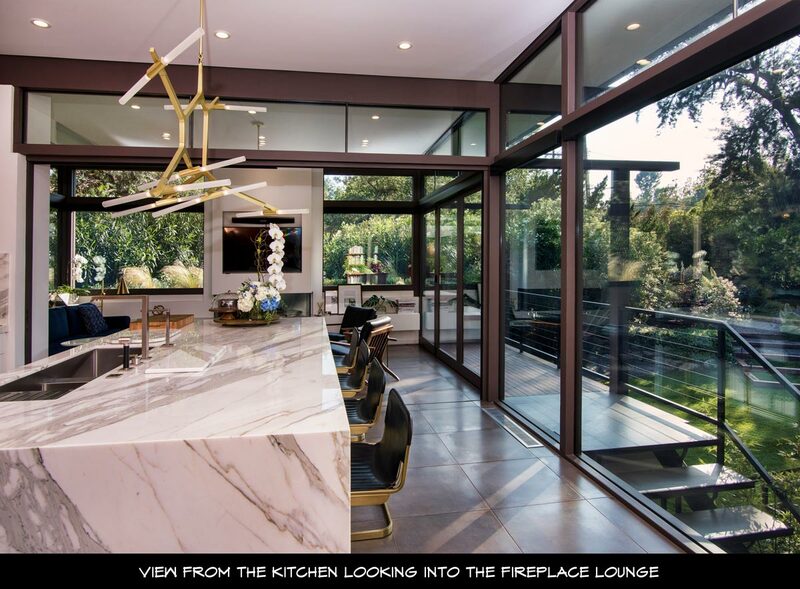 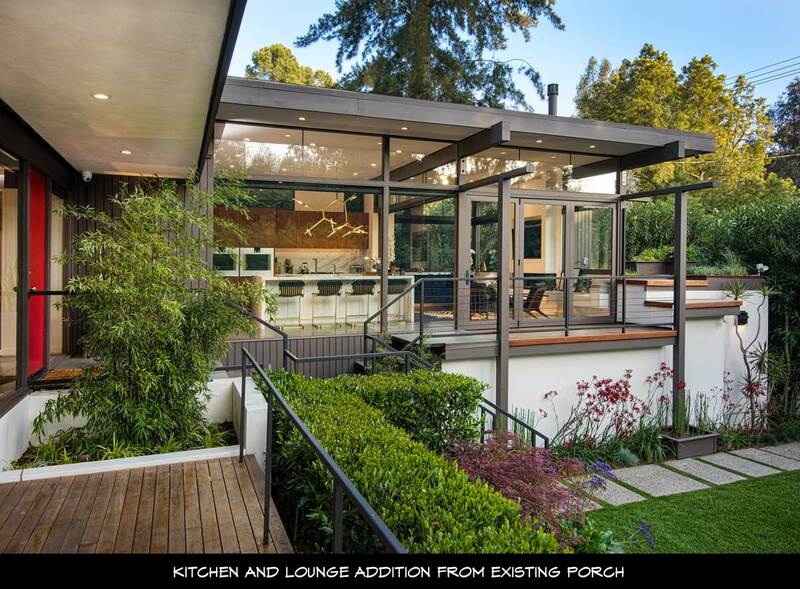 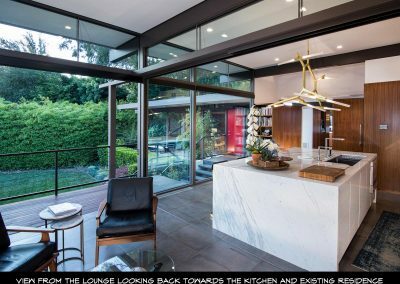 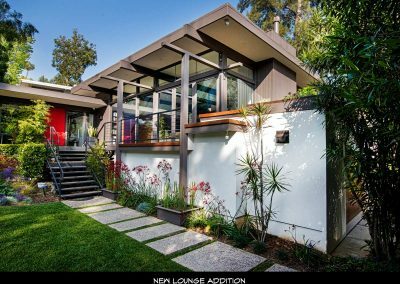 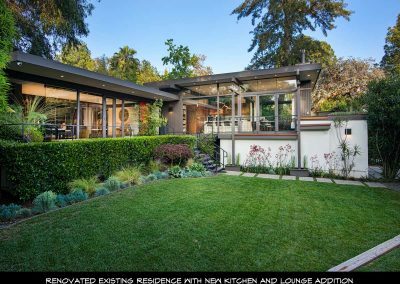 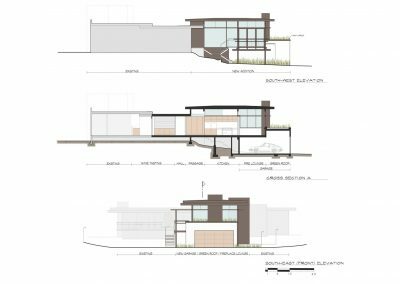 The addition was designed as a post and beam elevated pavilion with all glass walls and sliding glass doors opening up to the decks and yard and the new garage with garden roof. 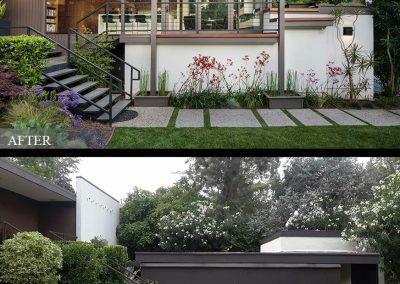 The new post and beam glass pavilion complements the existing slab wall post and beam house graciously while extending the life of the old structure and not overpowering it.